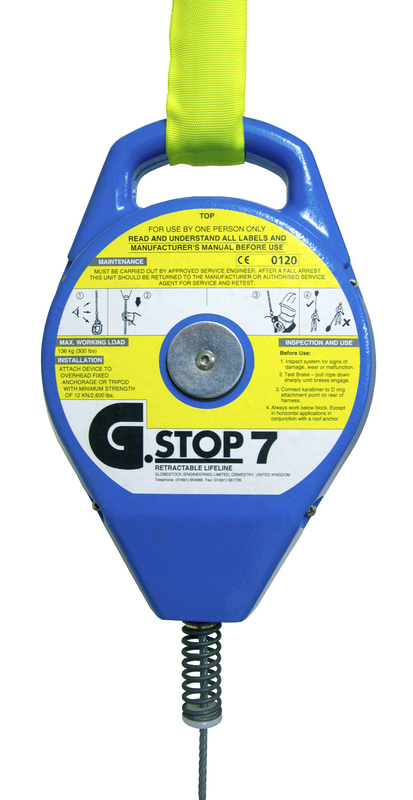 The G.Stop7 is a lightweight 7m fall arrest block with an integrated carry handle. GSE107G 7m 136kg 5.8kg Stainless steel cable. 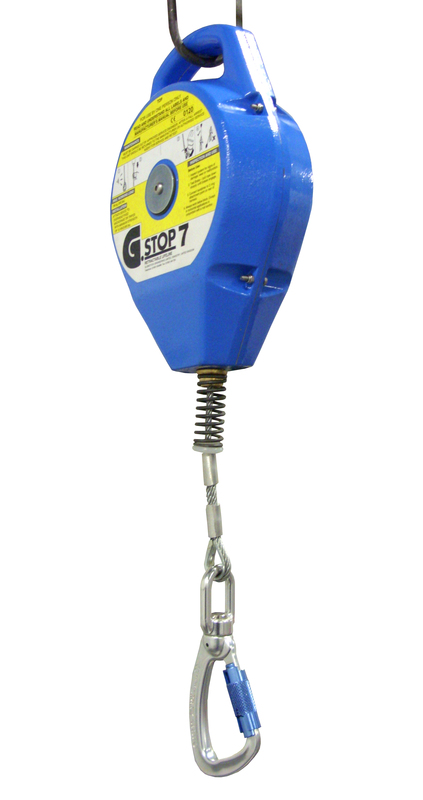 Fall indicator karabiner. 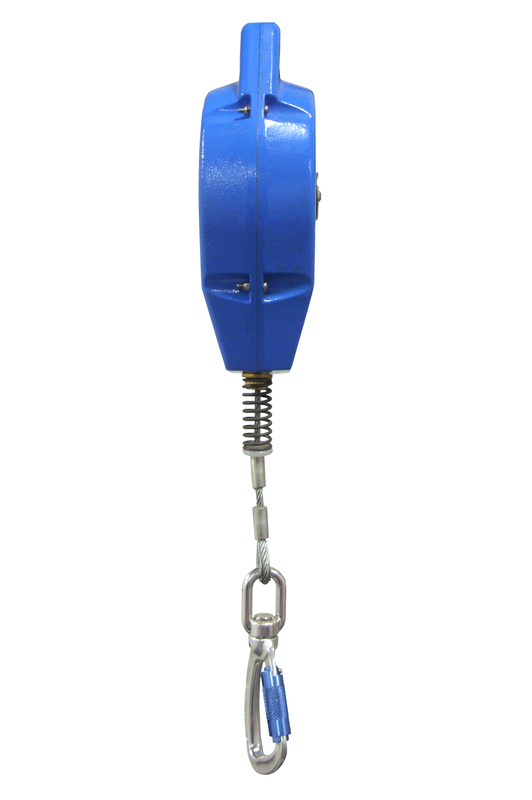 * with 5mm galvanised steel cable (fitted as standard).